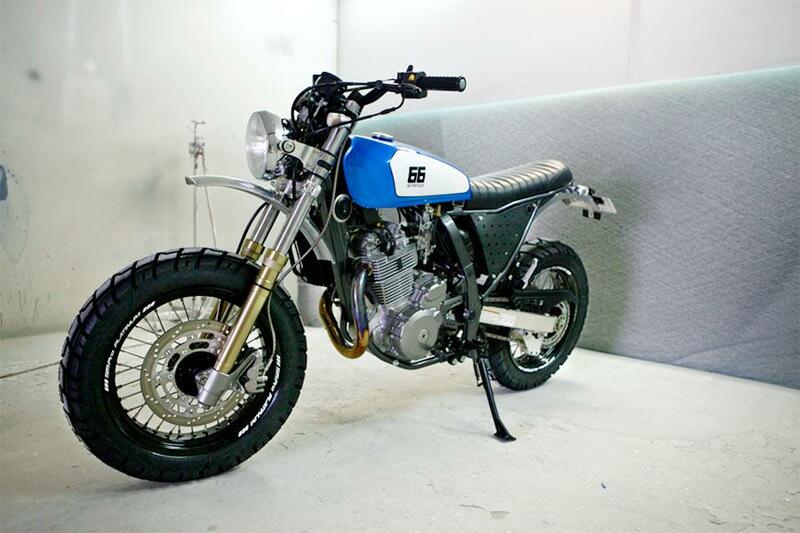 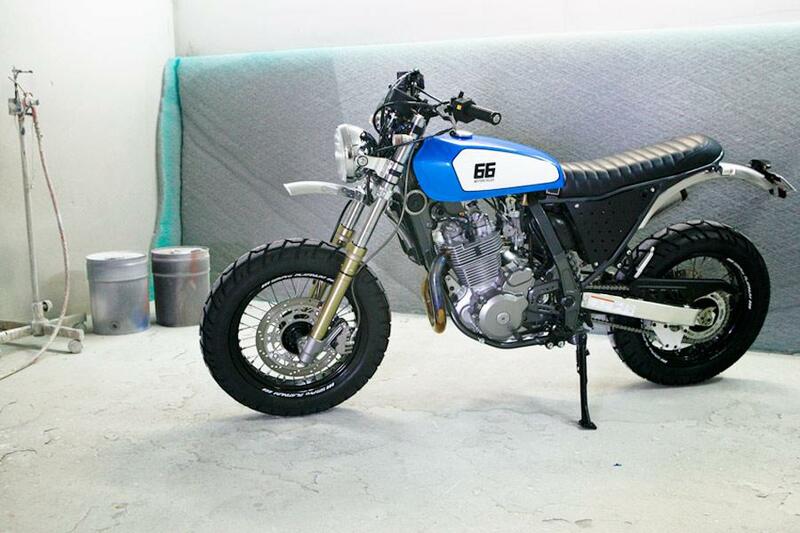 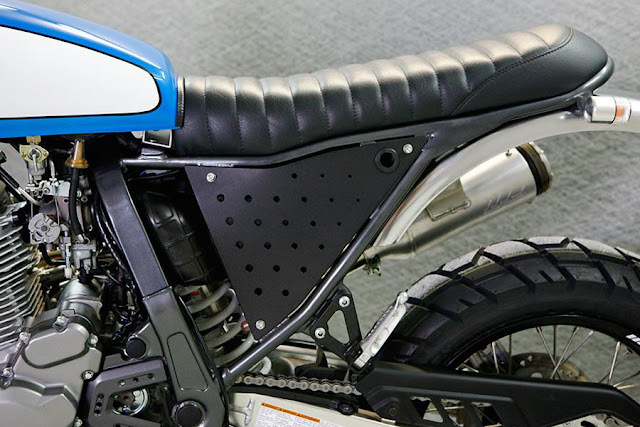 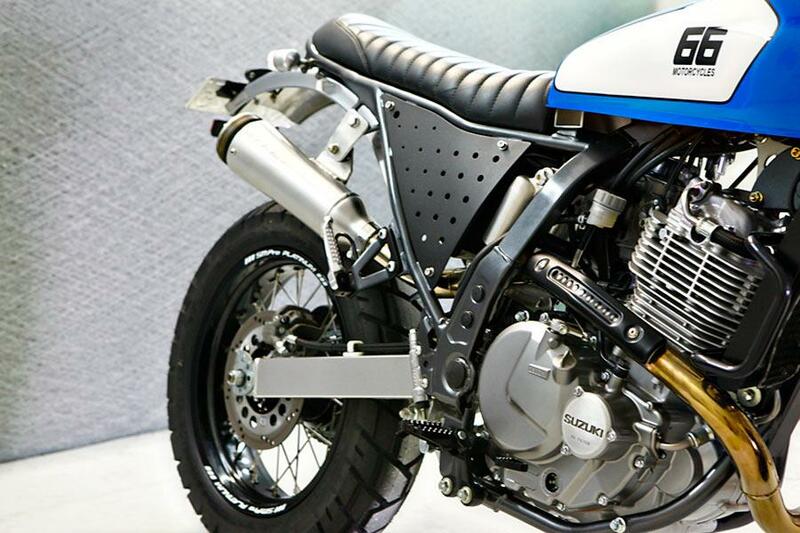 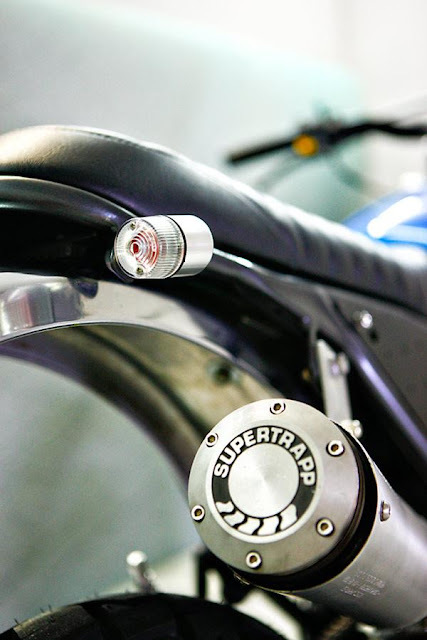 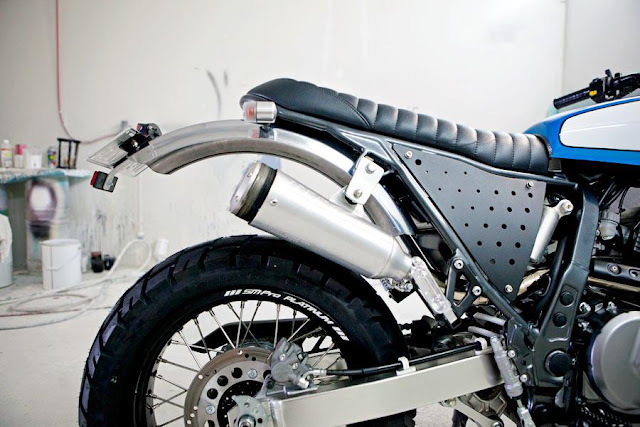 "SC.O.R.D is based on a 2014 Suzuki DR650 and has many similarities with The SURFDUSTER. 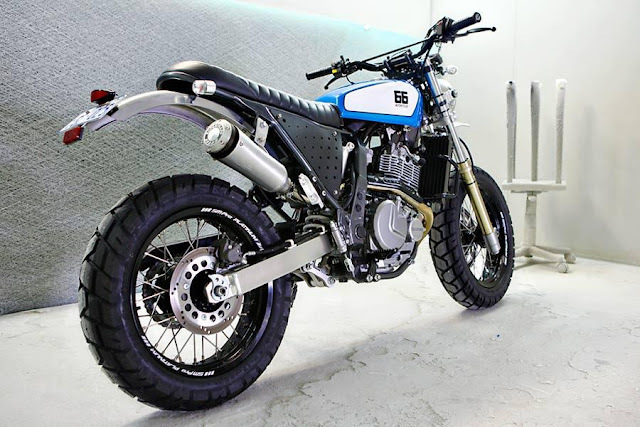 They both run 17' SM Pro rims with custom stainless spokes, forks have been lowered, the rear subframes have been modified and they both have custom fitted tanks and seats. 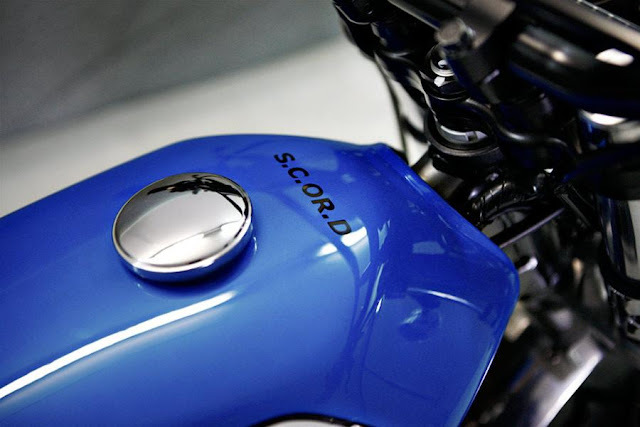 Where SURFDUSTER runs a pod filter and custom battery tray SC.O.R.D maintains the stock air box and battery tray and custom side covers. 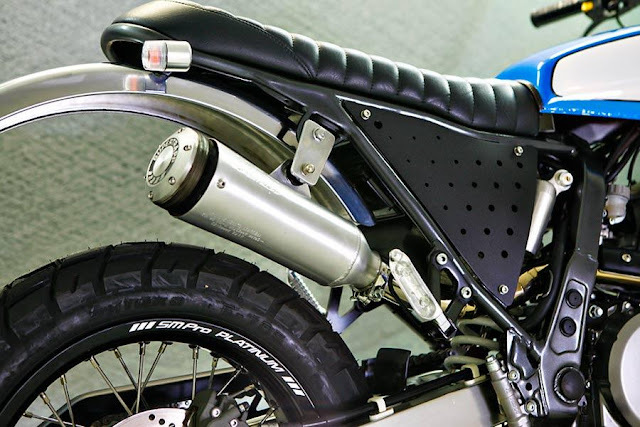 However to fit the big bore header pipe and SuperTrap muffler the air box and tray requires removing, modifying and remounting to make room for the oversize pipe."